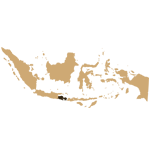 Indonesia is a dream for every traveler at heart, calling up images of temples, tropical jungles, breathtaking landscapes and an enticing multicultural society. Indonesia is both magical and fascinating: a little piece of paradise surrounded by the sea. It’s a combination of volcanic mountains, verdant paddy fields and a plethora of small islands on the edge of the Indian Ocean. 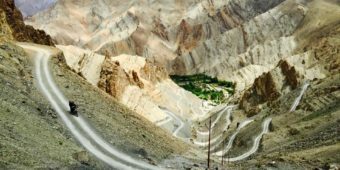 Known for its rich history and culture, it’s time for you to discover this country and experience a unique adventure on your motorcycle. 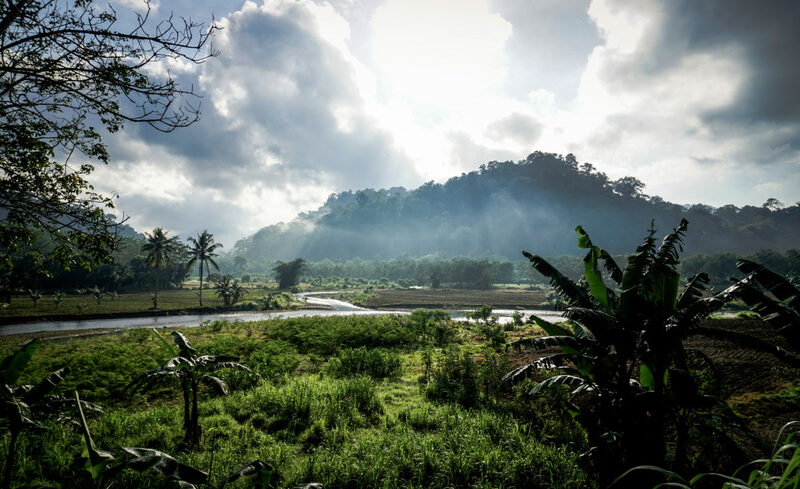 Travelling the roads of Indonesia, you’ll stumble across its uniquely amazing landscapes. 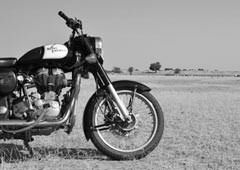 Ride through the country and observe its astonishing diversity. 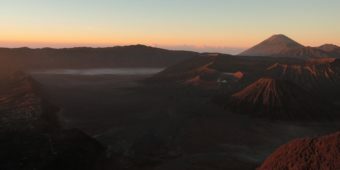 From Mount Bromo volcano to the Island of Gods: a destination with lush vegetation and a thousand charms. 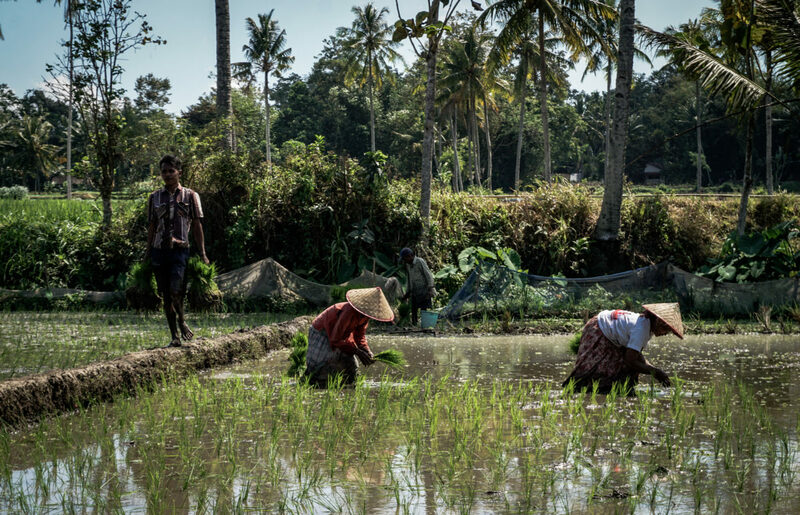 Meet people from many diverse ethnic communities and navigate through the heart of Bali’s paddy fields, where a rare calm and serenity reigns. Above all, don’t miss Komodo Island, populated by its famously impressive reptiles. They’re the biggest lizards on Earth, measuring up to 3 meters in length. You’ll find yourself completely absorbed by the country’s authentic and savage scenery. 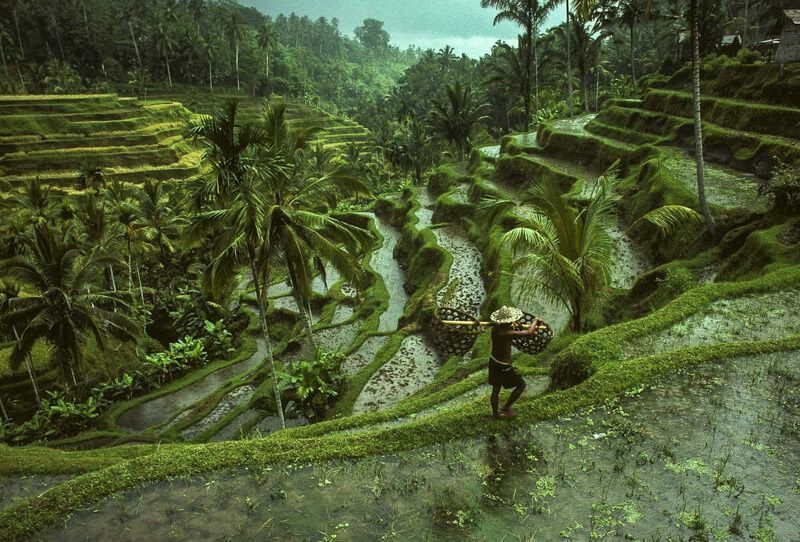 To be able to truly discover Indonesia’s profound and sumptuous treasures, you must immerse yourself completely. Are you a traveler at heart? Or a biker by nature? 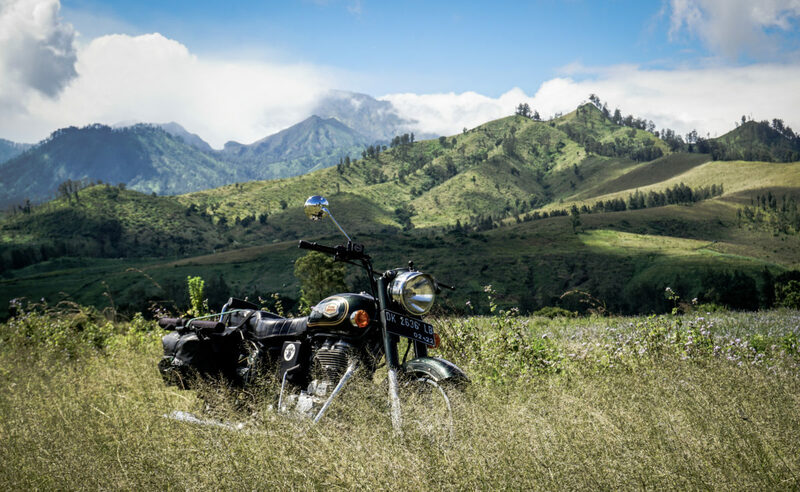 Try it out and discover our Indonesia motorcycle trip on a superb motorcycle, in an environment of a unique charm. 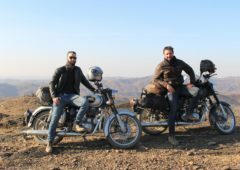 Visit the country from July to September, riding your Royal Enfield from Bali to Java, along with our experienced tour leader. 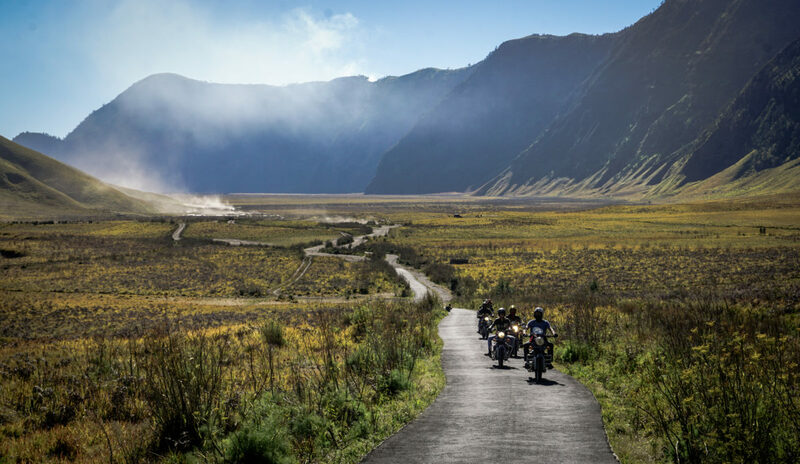 Your journey will take 12 days, of which 9 are dedicated to an intense motorcycle discovery of Indonesia’s incredible facets. Enjoy truly magical moments and experience ancestral traditions and natural wonders. 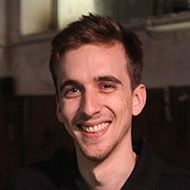 Are you looking for a thrill? Be prepared to have all your desires fulfilled: there are so many roads to explore. 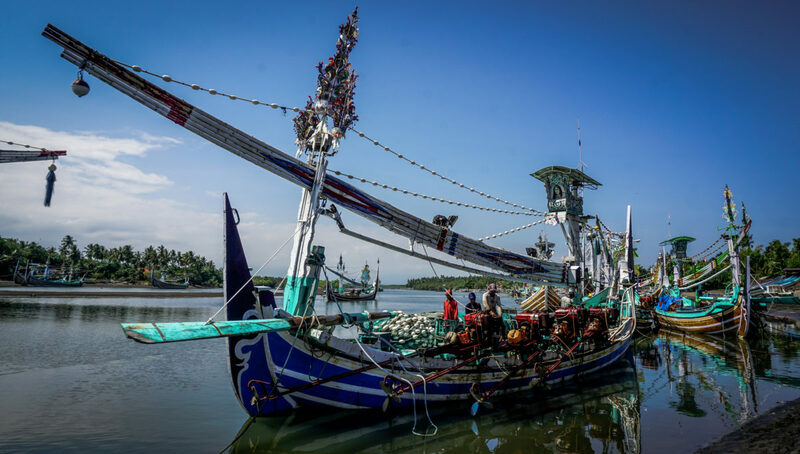 There is so much to discover and learn in Indonesia. Firstly, you need to leave the main roads and flee the tourist spots. There you’ll discover the serenity of the place, the calm and beauty of the country. Why not enjoy a break between two rides on the local islands? You’re guaranteed to find some of the most majestic spots on Earth. Enjoy your stay, luxuriate in the local culture and food, meet and understand the inhabitants and their traditions. You’ll find people from so many religious backgrounds: Muslims, Christians, Buddhists, Hindus and Animists, all living all in the same place and sharing core values of generosity and hospitality. Dare to travel differently, in a way you have never experienced before. Explore Indonesia and its treasures freely. Explore Indonesia and its treasures freely. 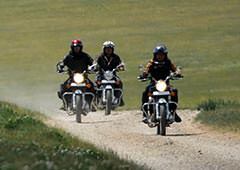 By choosing our motorcycle tour in Indonesia, you’ll experience a real human adventure. 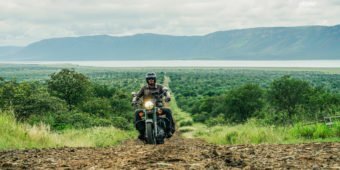 And for those of you who are in love with Asia, and do not want to stop there, check out our other motorcycle tours to Laos, South Africa or Peru. You’ll be discovering new landscapes, new emotions and pure beauty!